On May 25, 1976, the day after Dylan’s 35th birthday, Dylan performed this song at the Salt Palace in Salt Lake City, Utah, for the first encore (see the playlist below from setlist.com) and would never perform it again (at least not up until the time I am writing this). I wish I was there; I would have been 16, still reeling from Blood On The Tracks, which was the album that started my passion for Bob. I would have loved every minute of it. I wonder if he changed any of the lyrics, how it was received by the audience, and if it told the same story. 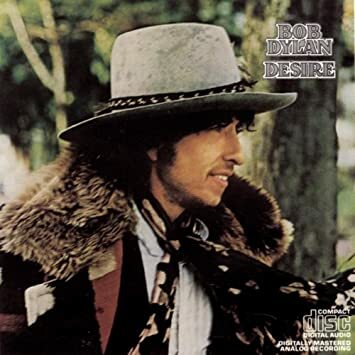 It is co-written with Jacques Levy, who was a dominant influence on Desire, perhaps not the least of which was to thread that whole album with the theme of desire, objects of desire, being desirable, and thwarted desires–dreams deferred and such. It’s the fallout of distant TV news reporting, the inundation of stories like these that just don’t stop; people live, love, flirt, gamble, talk, do business, laugh, seek help and affection, and experience death. We, not yet characters in some hard-luck story, just move on. The rhyming impressively is as structured as it gets and this doesn’t get lost when hearing the song and it sounds so inviting to the ear that none of it seems stilted. 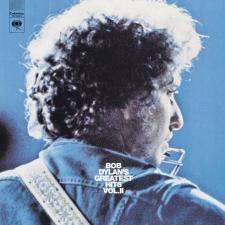 Dylan’s consistent voice moves the tale and song along with a pace as smooth as a moon fading or cranes flying away, a voice calling us ” to come on in,” and an accompanying violin played by Scarlet Rivera that makes the voice and instrument experience like hearing crickets talking back and forth in rhyme. The rhyme pattern consistent through seven verses of twelve lines each is a/b/c/c/b/d/e/f/e/g/g/g with the “e” rhymes stealing the show and the “g” rhymes building to the end of each verse awaiting Dylan’s resounding melisma, “Baaaaaaaay,” each time. At the end of a performance of the song on July 25, 1963, Dylan says, “That’s kind of a mad song.” Mad? Angry mad? Mad as in a madness? Either way, the humor in the song is underscored during the whole performance and from the audience’s response during and after. For me, the crucial word for a less on the surface interpretation is found in the word “over.” The singer in this song is not mad at the target of his obsession but at himself for not doing all he could do over her, as in because of her, as in being head over heels in love with someone, or not being able to get over someone. If I had another chance to do it all over, and watch out, I will, is threatened all over the song, I would do it all because of you (her). The singer is promising that he will do it right if he gets a next time, and that next time will involve him being totally focused on her; everything he does will be for her. I’d jump up in the wind, do a somersault and spin. The terminal rhymes consist of do/you at the end of three of the four verses. That’s a rhyme often repeated in “All I Really Want To Do” as well. I see the the meaning of this song similarly. In “All I Really Want To Do,” all he really wants to do is not mistreat her; though in “All Over You,” he might seem to threaten mistreatment, it all depends on how “over” is interpreted. To appreciate the double-meaning in this song, as in, say a song like “Rainy Day Women #12 & 35,” we may need to get over what doing something all over someone might mean. The magnificent internal rhyming in this song is up there with the shake your head admiration of it in songs like “Mr. 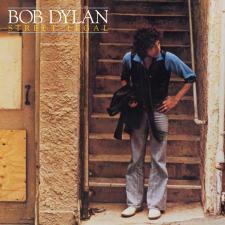 Tambourine Man” and “Like A Rolling Stone.” Listening intently for it is so worth the while. Though the title of this song points towards the future, everything else in it is about the here and now, with a singer busy hurrying, dating, dodging and wasting time, and that’s just in the first ten lines. The action is on display with the words that rhyme with “masterpiece,” those being “niece” (Levon sings”pretty little girl from Greece,” not “Botticelli’s niece” as the bobdylan.com lyrics state), “geese,” and “police.” The content of the song hinges on the date with this girl, and being outdoors, running, sailing, flying with and through nature, and rebellion mixed with danger what with the need to dodge lions, cope with a frightening plane ride, and avoid police who hold down a newspaperman eating candy” (for eating candy?). The song uses an alternate rhyming pattern with some delightful rhymes “Coliseum” with “see’em,” “memory” with”rhapsody,” and “gondola with “Coca-Cola.” However, there are exceptions to the pattern in the 5th and 7th lines of verses 1 and 3. Also, the song consists of 4 verses of 8 lines each, with the third verse as the exception at only 2 lines containing the memorable “gondola”/Coca-Cola” rhyming couplet. Masterful, however, is how Levon sings it. The song seems made for him, and probably was. 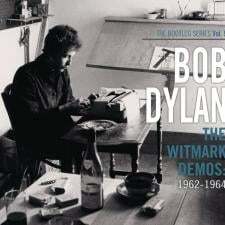 Below is a live version with Dylan singing it, and the studio with Levon at the helm singing it in his own way of singing a rhapsody.